Hello and Happy Thursday! Candace here, and today is my day to share a new project with you! This is called the Peek A Boo card and will be available starting tomorrow over in the store at SVG Cutting Files. I really like this new layout, its fun and different and works great with double-sided papers. 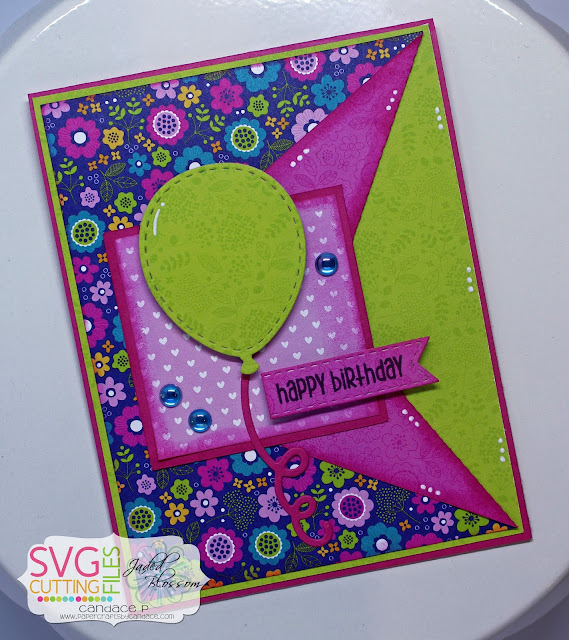 From Jaded Blossom I used the new Balloon Dies along with the new So Many Birthdays 4 stamp set.